It is now over 100 years since the Berlin Conference of 1884 which started the ‘Scramble for Africa’ whereby the various European powers carved up the African Continent between themselves. During the last century the relationship between Africa and Europe has changed dramatically – from a colonial to a post-colonial relationship, with, more recently, new patterns emerging as the Communist bloc has developed increasingly strong links with some countries and as the EEC as an institution has got more involved. 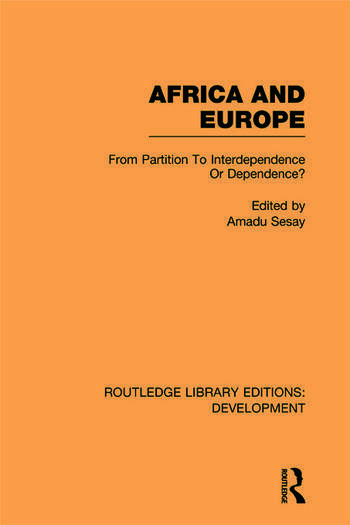 First published in 1986, this book explores how the relationship between Africa and Europe has changed over the last hundred years, assesses the current state of relations and discusses how the relationship may develop in the future.